When I think of foods from my childhood, two things come to mind. Pasta, because my dad is Italian and cooked it all the time, and crab. I grew up going to Virginia every summer to my family’s cabin where we would catch crabs, steam them and eat them on the porch. It’s still one of my most favorite meals! Since I live in Chicago and can’t exactly catch my own crab here, I love making crab dishes with lump crab you can find at the grocery store and coming up with new, exciting ways to use it. 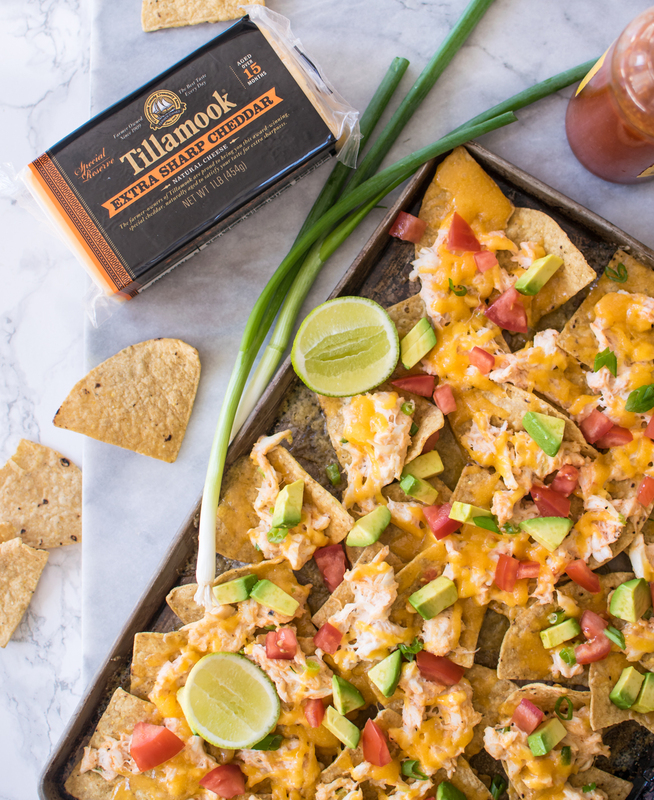 When I started thinking of ideas for my recipe with Tillamook cheese, crab came to mind immediately! I wanted to do something creative and unexpected and the sweetness of the crab is perfect with the sharp tang of the Tillamook cheddar. I know, I know, there are rules about seafood and cheese. 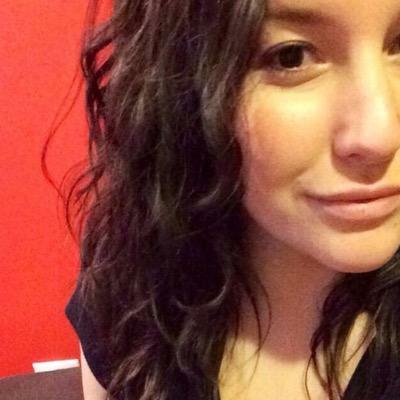 But, if everybody followed the rules all the time, life would be pretty boring. 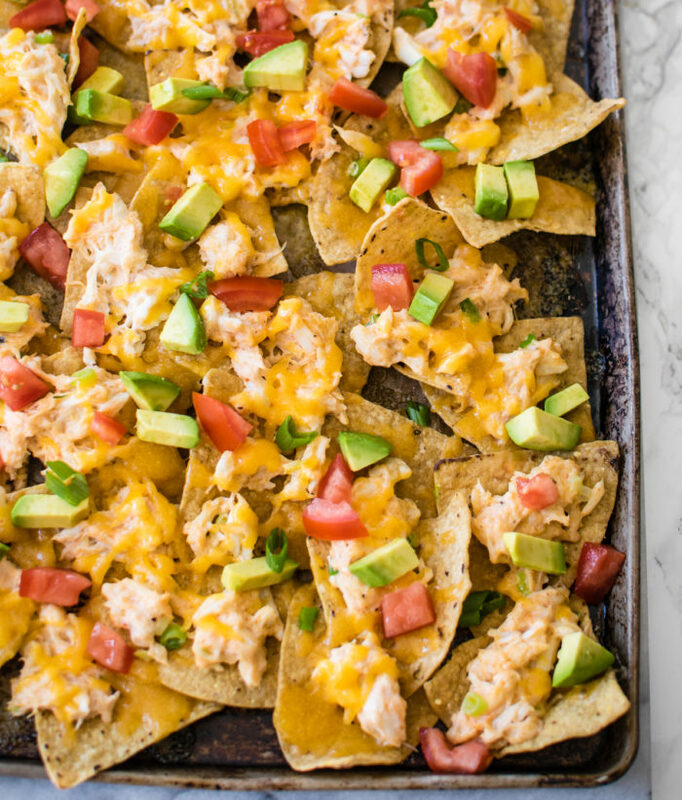 Speaking of boring, these nachos are anything but! The best part? They’re totally customizable! 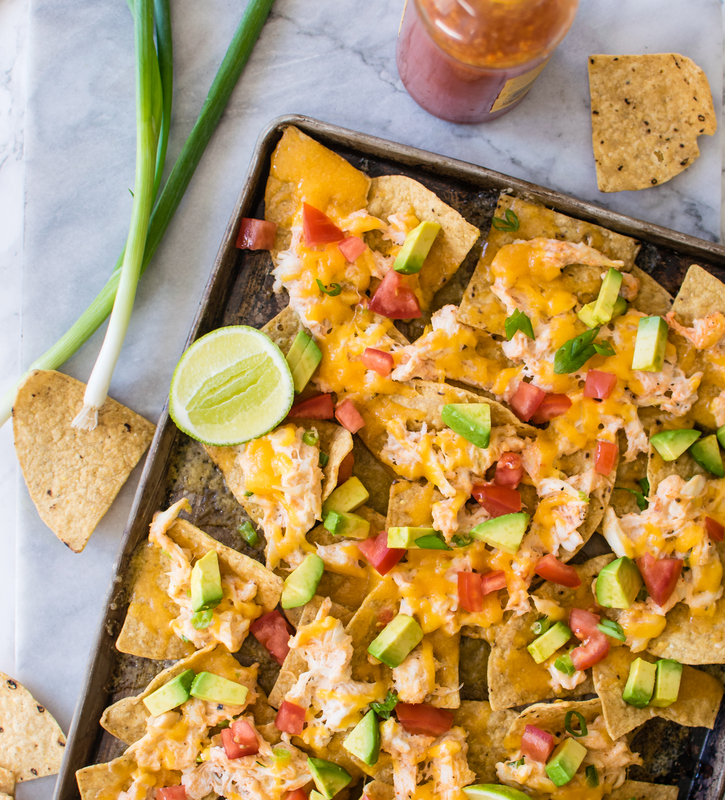 Choose your favorite hot sauce, and your favorite toppings and as long as you’ve got crab and Tillamook cheddar, I guarantee they will be delicious. If you guys haven’t tried Tillamook cheese yet, you must! I am so excited that Tillamook, who are based in Oregon, have expanded nationwide and they’re cheeses are now available to me in Chicago! Yay! I love the flavor of their cheddars and the fact that their products are all natural. 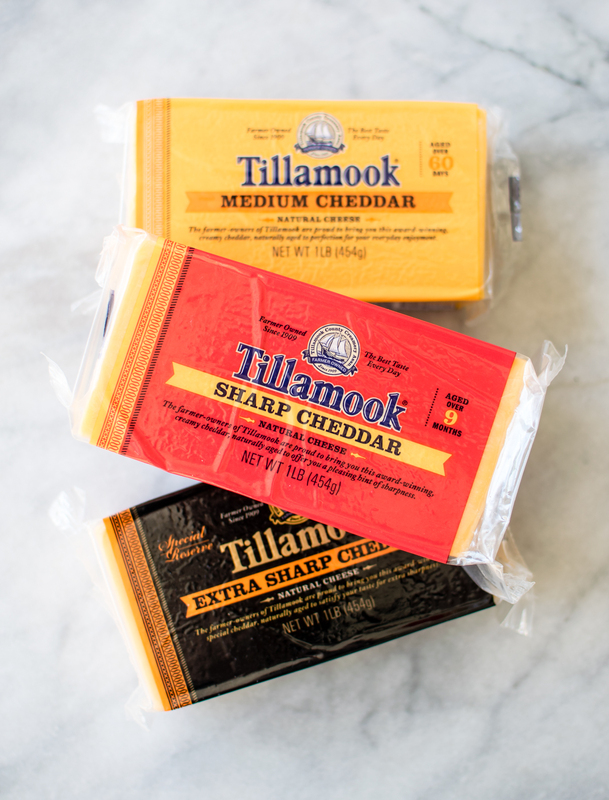 You can use this link to find where Tillamook is being sold near you. Now my stomach is rumbling. Need. More. Crab. Nachos. 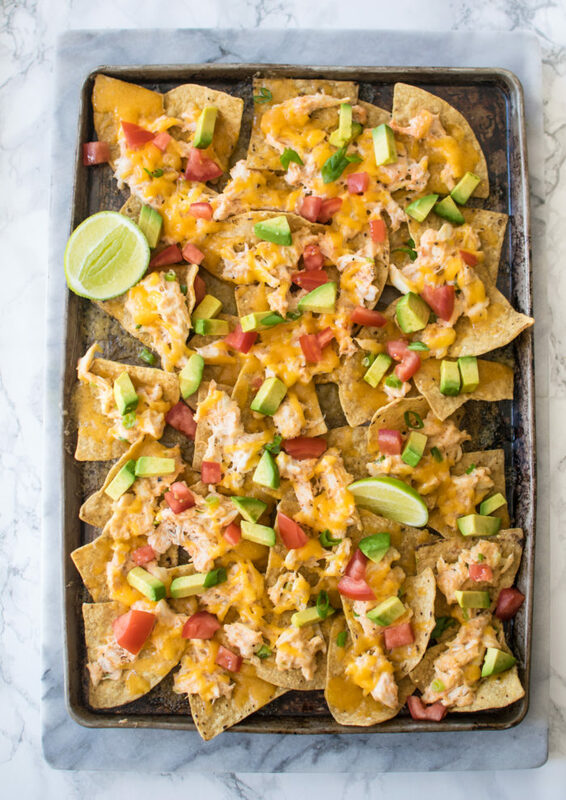 Spread a layer of tortilla chips out on a sheet pan and prepare your toppings. In a bowl, mix the cream cheese with the hot sauce and a pinch of salt and pepper. Gently add the crab to the mixture, trying not to break the lumps up too much. In a skillet, heat olive oil over medium heat. Add the white parts of the scallion to the pan and stir until slightly softened; about 1 minute. Add the crab mixture and stir, still trying not to break the crab up too much, until warmed through; about 5 minutes. 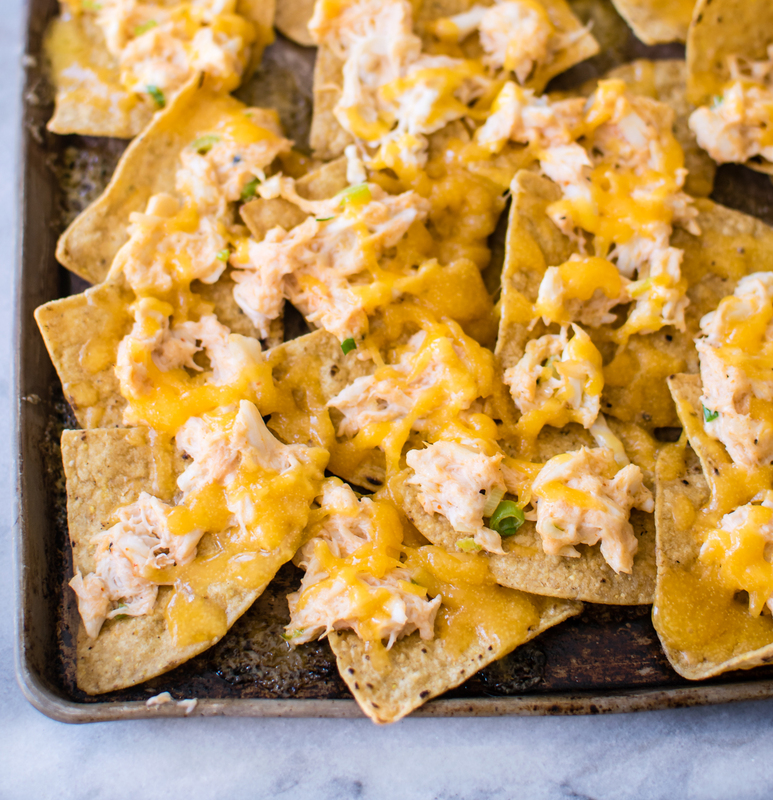 Spread the crab mixture evenly over the tortilla chips and then top with the Tillamook cheddar. 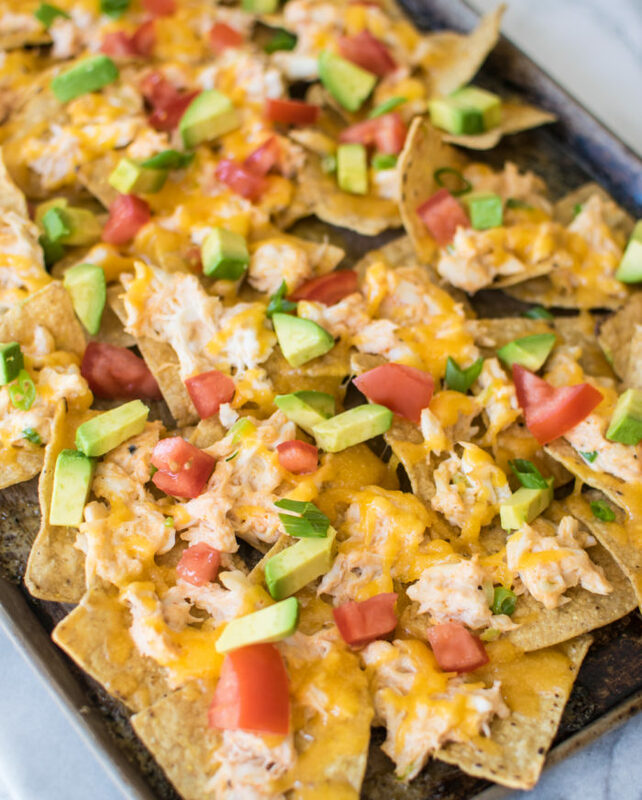 Broil the nachos until cheese is melted and bubbly, being careful not to let them burn; 3-5 minutes. Top the nachos with avocado, tomatoes, the green parts of the scallions and more hot sauce.